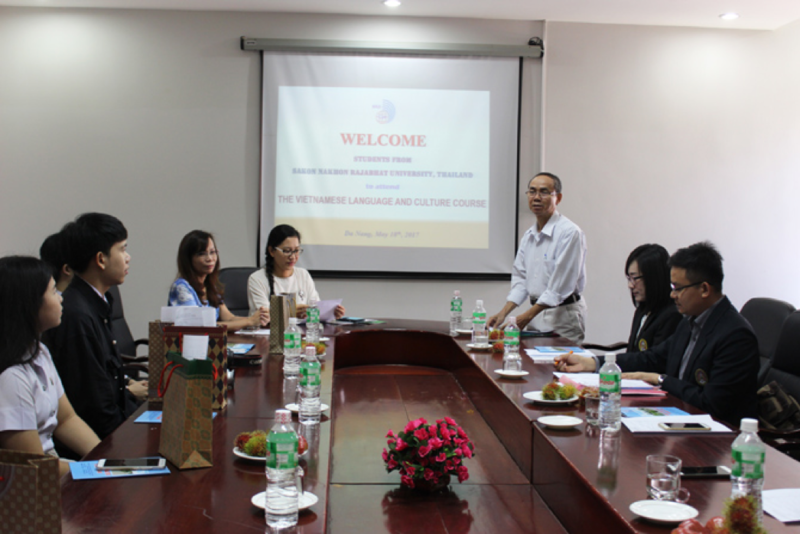 Within the framework of cooperation between UFLS and Sakon Nakhon Rajabhat University, Thailand, on the morning of 18 May, 2017, UFLS welcomed six students from Sakon Nakhon Rajabhat University to attend a language and culture exchange meeting at the Department of International Studies. The exchange program lasts 26 days (from 17 May to 11 June, 2017). 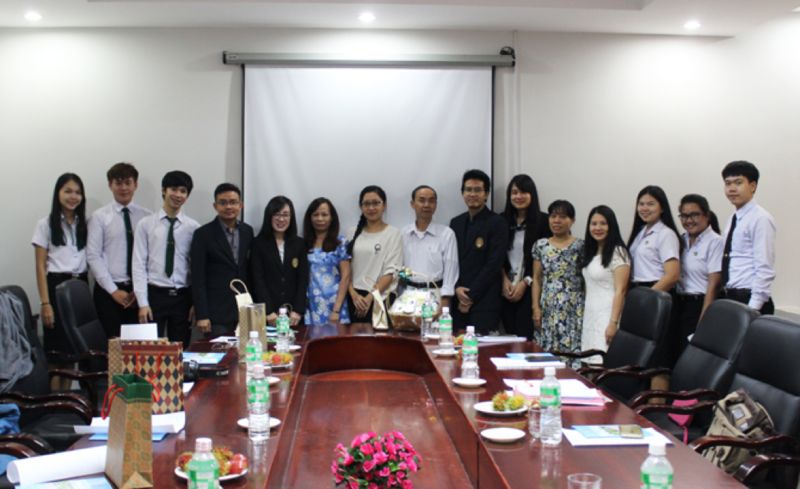 The students from Sakon Nakhon Rajabhat will take part in a number of extracurricular activities, for example, briefing sessions about Vietnamese culture, and sightseeing tours of famous places of interest in Danang city, etc. 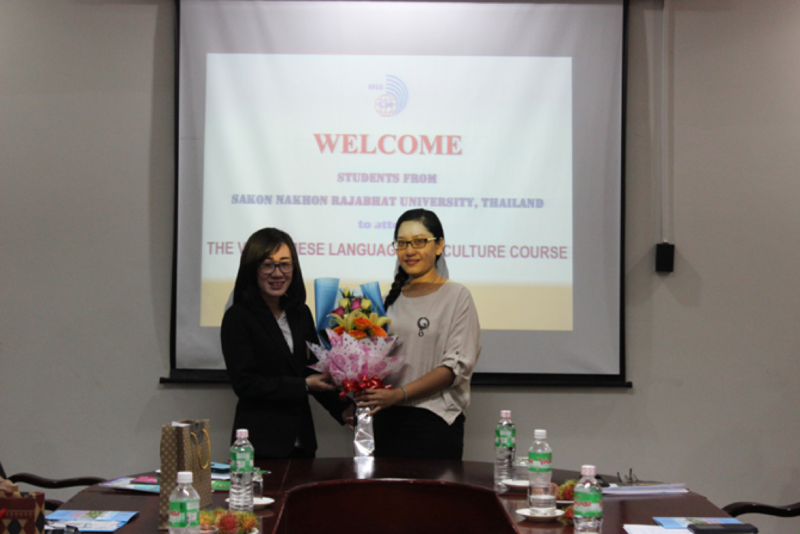 Ms. Compoonut Somsan - Head of Student Delegation of Sakon Nakhon Rajabhat expressed her appreciation for UFLS’ warm welcome and wished that her students would enjoy enthusiastic support from UFLS lecturers while participating this exchange program at the Department of International Studies, UFLS. 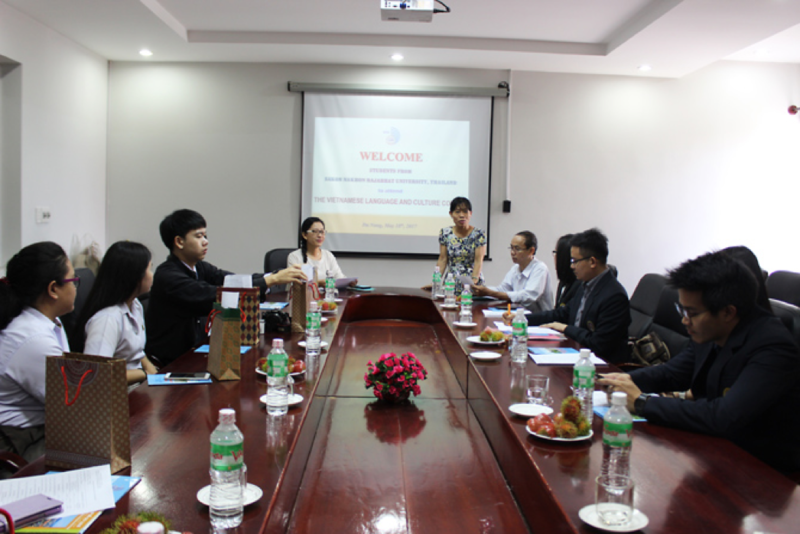 Dr. Dao Thi Thanh Phuong - UFLS Vice Rector offering flowers to Ms. Compoonut Somsan and expressed the school’s pleasure to welcome the Thai students to participate the exchange program at UFLS. Assoc. 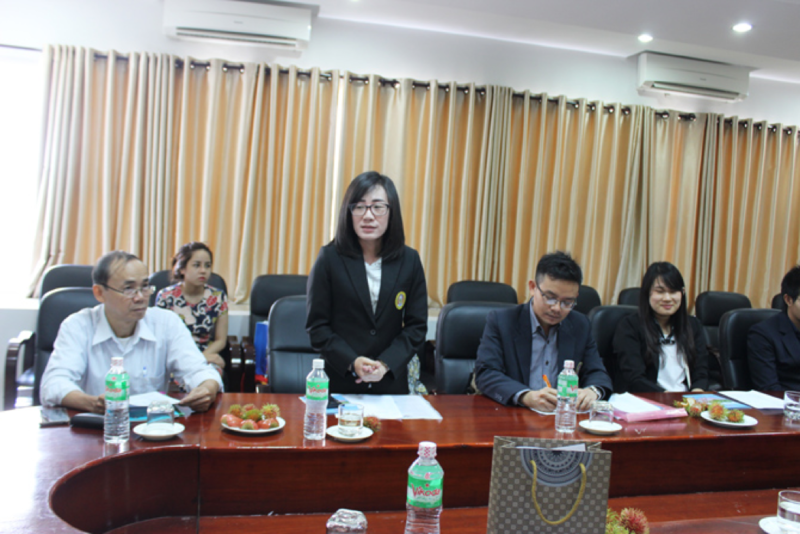 Prof. Luu Quy Khuong - Dean of the Department of International Studies pledged to fulfill the program’s objectives and expressed his hope of welcoming more students from Sakon Nakhon Rajabhat in the coming exchange programs which are expected to last longer and include more interesting activities.